We are committed to protecting your rights to privacy in alignment with the EU GDPR (General Data Protection Regulations) which came into effect on May 25th 2018. 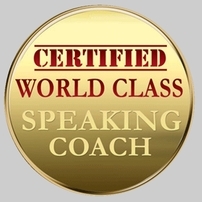 Speechcamp provides public speaking coaching, training and education for individuals, small groups and organisations who wish to improve their public speaking skills. We collect personal data during the process of corresponding with individuals and organisations who approach us for information on our services. We offer correspondence via email, our online chat function, and telephone. In all cases, we never use email, phone or online chat services for unsolicited or automated marketing purposes. The only exception is when a client explicitly asks us (via email) to keep them updated on an upcoming course or service, which we of course will endeavour to honour. To summarise: We do not use email addresses or phone numbers for any reason except to enter into normal business correspondences and operations in a mutual and appropriate manner. All correspondences are entered into as part of the normal course of providing our services. Any names, postal addresses, email addresses, feedback documents or other information gathered in the line of business services are solely used for the purposes of providing our services in agreement with our clients and in alignment with this statement. We retain personal data only for the time it takes to conduct our business. All clients of our courses and services are required to sign a terms and conditions document which includes the offering of consent to the details covered in this statement. All website testimonials and quotes provided by individuals and organisations are done so with their full co-operation and consent. During our coaching sessions we may, with a client's written consent, record video footage of practice performances for their educational purposes. This footage immediately becomes the property of the client and is theirs to keep or discard as they wish. Speechcamp will delete all footage after the training is complete and the footage is handed over to the client. Our website's contact form services may record IP addresses for the purposes of mitigating spam or other denial of service attacks. IP addresses are not used for any other purpose. Links to other websites and services from our website are not covered by this privacy statement. Speechcamp takes no responsibility for the privacy policies of linked websites, and as such, a website visitor should examine the privacy statement of the linked website before using it.